Increases in efficiency leads to proportionate increase in CO2 collection. Elimination of lactobacillus contamination. Elimination of biocides antibiotics. 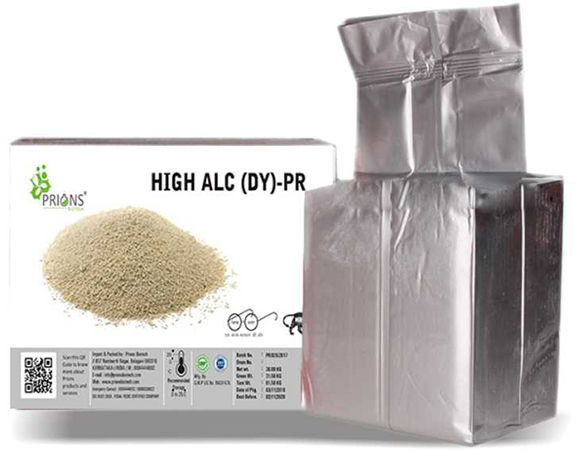 PRIONS BIOTECH introduces MOL SAFE-PR which is customized cocktail of enzymes which takes control over the above said problems and thus retains the quality of molasses during the storage. Effectively increases Molasses shelf life by controlling Millard reaction. It is a pure bio-product having no chemicals. Partially hydrolyses Non reducing sugar into Fermentable sugar. 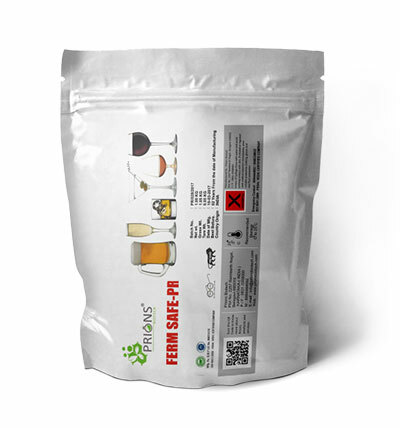 It is specifically selected high alcohol yeast resistant to high temperature, alcohol and acid, and can be widely applied in the alcohol; potable spirit brewing that adopts starch bearing materials as Molasses, dry sweet potato, maize, rice, cassava, sorghum, etc. It is a proprietary blend of yeast nutrient complex and Enzymes that promotes and sustains yeast cell propagation and viability, thus promoting an active and efficient ethanol fermentation. 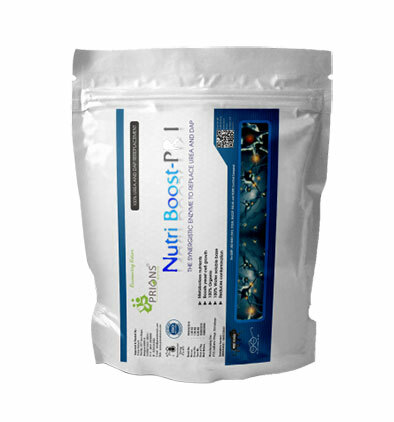 Supplementation of Macro and Micro nutrients fosters consistent trend improvement. Aids yeast in competitively excluding contaminating bacteria. Ferm Safe-PR is a distinctive enzyme masterpiece. It has been designed for reduce TVA level in CPU water, Improvement of alcohol yield and control the process demerits to increase the overall process efficiency. 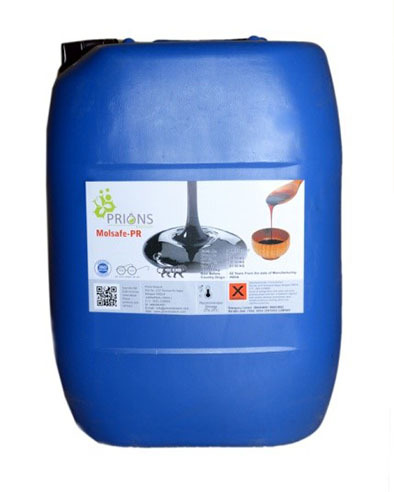 It is blend of selected enzymes to control the intermediate volatile acidity production in the conventional continuous process of molasses fermentation resulting increase process efficiency and alcohol yield. Over all improvement in process efficiency. 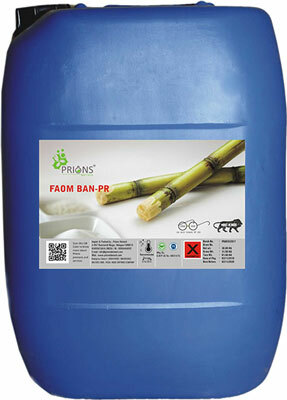 100% Organic environment friendly product. Specialty of foaming ingredients, due to various nature of input solids and operating conditions, process severe problems in handling of molasses fermentation etc. thus resulting in high consumption of defoaming and antifoaming agents. It is right time to give a thought over modern concept of Eco friendly defoaming agent and antifoaming agents so as to meet the global standards.